After 14 years of research and an investment of some US$600,000, Professor José Luis Almazán of the Department of Geotechnical and Structural Engineering of the Catholic University of Chile and his team have developed four seismic protection devices for wine tanks. Two of these devices provide isolation while the other two dissipate energy. In 2016, the group partnered with Tersainox, a Chilean manufacturer of wine storage tanks, to which they transferred the licenses so that it could market the innovation. For the isolation devices, they created two technologies: a translational system similar to that used in buildings and the three-dimensional isolation known as ISO 3D, which “uses flexible devices vertically and rigid devices laterally, generating an isolation effect,” explains Almazán. For the energy dissipaters, they developed the S-Tadas technology for use with continuously supported tanks and began the process of patenting the spring, “a metallic energy dissipation device, capable of absorbing large deformations and attractive for large tanks such as those used not only for wine, but also oil,” commented the researcher. Since 2019, they have been marketing the seismic protection systems and the plan now is to expand into tanks and equipment for other industries such as the petrochemical, paper and mining sectors. “We also want to apply them to electricity substations and wooden structures,” indicated Almazán. The Research and Innovation Center (CII) of Viña Concha y Toro, which has been operating since 2014, is developing a Plant 2.0 project in a bid to produce healthier and stronger plants that can produce high-quality grapes for longer. The initiative is being implemented by the CII’s Molecular Biology Laboratory which, through DNA extraction and analysis, is seeking to identify the presence of pathogens in plants. The project involves the study of five varieties (29 clones) and five rootstocks to evaluate their phytosanitary condition. Using molecular biology, the project has identified 184 plants free of 12 types of virus and of five types of wood fungi. The selected plants - without viruses or fungi - then underwent biological reinforcement, with beneficial fungi such as trichodermae and mycorrhizas which help the plant to feed and increase its productive life. The critical points in the production of plants were also analyzed, identifying possible risks of contamination with pathogens so as to draw up management plans. The project is in its final phase and the concept of plant 2.0 will be implemented in the company in order to incorporate these technologies into its nursery’s production chain. It already has 98 plants, healthy and with active biological reinforcement, to serve as stock for reproduction. “With this research, we can ensure plant health and quality over and above international standards, strengthening vertical integration and the sustainability of the agricultural operation and giving a clear signal to the industry as to what the new standard of Chilean nurseries and vineyards must be,” explained Gerard Casaubon, director of the IIC. One of the challenges of making white wine is to remove certain compounds that, as they oxidize, give it a pink color and, if present in excess, exacerbate bitter, smoky or astringent tastes. Synthetic clarifiers are used for this but they also remove particles that contribute to the flavor and aroma of the wine. To reverse these effects, researchers at Fraunhofer Chile and the University of Talca have developed a polyaniline clarifier that improves and optimizes the process in young wines. It is a nano or microparticulate polymer that is applied during the production process as an indissoluble powder and, in contact with the wine, traps the compounds with undesirable characteristics and is then filtered out before the wine is bottled. “We have developed a cheaper and more efficient alternative to those available to remove compounds that affect the taste of the wine; this will mean a saving on production costs and an improvement in the durability of the wines,” said Lars Ratjen, scientific advisor at the Systems Biotechnology Center of Fraunhofer Chile. The clarifying agent is currently being tested on a semi-industrial scale and it is estimated that it will be available in the first half of 2020. Neobiotec, a biotechnology firm that forms part of the IDIN Group, has developed a methodology for producing fermented beverages that are low in ethanol (ethyl alcohol), reducing the alcohol content of wine from 14% to between 8% and 6%. Patricio Araneda, general manager of the IDIN Group, pointed out that, around the world, the wine industry has been affected by campaigns and legislation to limit alcohol consumption. In response, the company started work on research to reduce ethanol content in 2014, following in the footsteps of Spain and France, the pioneers of low-alcohol wine. He explained that current methods affect the dryness, density and aroma of the wine. By contrast, this innovation does not affect its organoleptic properties because it does not involve chemical processing of the must or the reverse osmosis in which aromas are lost when wines produced in a traditional way decompose. “This technology lowers the sugar in the must which then enters the normal wine fermentation process. We only lower the final alcohol, hardly changing the antioxidant and aroma characteristics of the wine and maintaining its properties 100%,” he said. The research project, which has completed its pilot stage, is in the process of patenting in several countries under the Patent Cooperation Treaty (PCT). It required an investment of some US$450,000 of which the Chilean government’s Economic Development Agency (CORFO) contributed US$ 20,000. Araneda added that the company is in talks with vineyards in California and Spain. 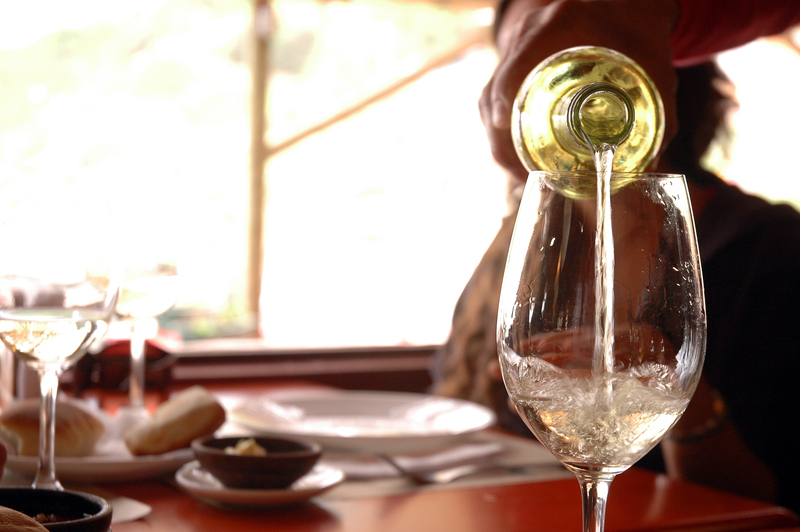 Researchers at the University of Santiago, the University of Chile and the Catholic University of Valparaíso are studying different genes in the yeasts used to make wine in a bid to modify them genetically and improve the characteristics of the wine. “One of the critical processes in wine production is fermentation: finding which gene acts on the ability of the yeast to feed during this process would permit its genetic intervention and be an important step towards a new generation of yeasts that are adapted to our musts and act more efficiently,” said Claudio Martínez, a biologist and director of the University of Santiago’s Science and Technology Research and the project leader. The research, funded by Chile’s National Commission for Scientific and Technological Research (CONICYT), aims in this first stage to discover which yeast genes directly affect certain fermentation processes so as to be able to modify them genetically and create the first Chilean yeasts adapted specifically to improving the wine production process. “A yeast of this type would avoid delays in the process and the development of bacteria that can give the wine undesired characteristics,” added Martínez. 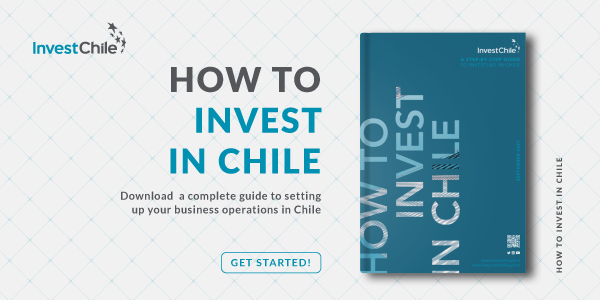 To find out more about Chile’s wine industry, see this article.